Used 2011 Audi Q5 2.0 quattro Premium for Sale in Mt. Sterling KY 40353 Joe Oldfield Used Cars Inc. 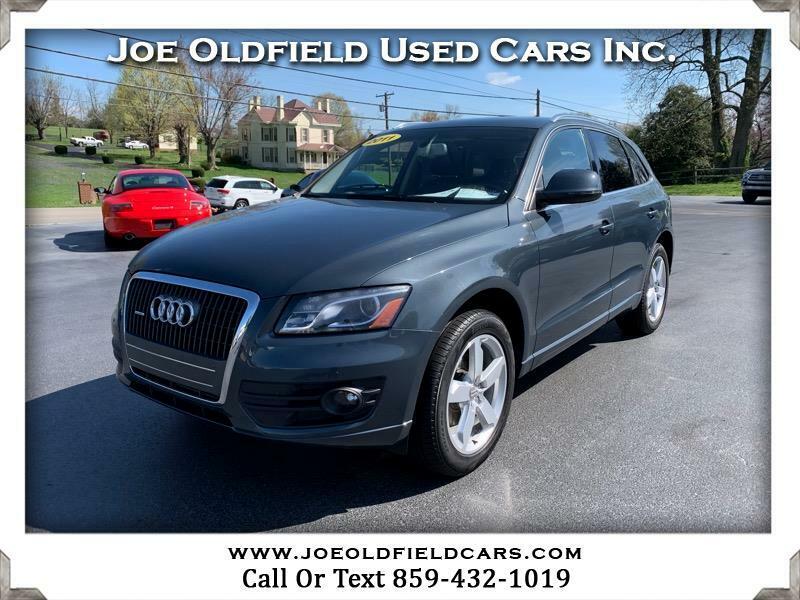 VERY NICE, VERY CLEAN 2011 AUDI Q5 PREMIUM PLUS WITH ONLY 66,000 MILES! THIS AUDI COMES EQUIPPED WITH SOME NICE FEATURES SUCH AS ALL WHEEL DRIVE, NAVIGATION, BACKUP CAMERA, PANO-SUNROOF, BANG-OLUFSEN STEREO WITH CD/SAT/AUX/USB, DUAL CLIMATE, MEMORY SEATS, ALL POWER OPTIONS, ALL WEATHER FLOOR MATS, 2.0L 4 CYLINDER ENGINE AND MORE! TIRES ARE IN GREAT CONDITION! PLEASE CALL FOR MORE INFORMATION OR STOP BY TO TEST DRIVE! WE ALSO OFFER GREAT FINANCE AND WARRANTY OPTIONS!